UAV Factory has expanded the boundaries of their unmanned aircraft vehicle capability by performing a nonstop 54 hour and 27 minute flight of the Penguin B UAV. This is the longest recorded flight for a mini-class unmanned aircraft. The previous longest endurance mini UAV flight was achieved by AAI’s Aerosonde in 38 hours, followed by Insitu’s Scaneagle in a 28-hour flight. 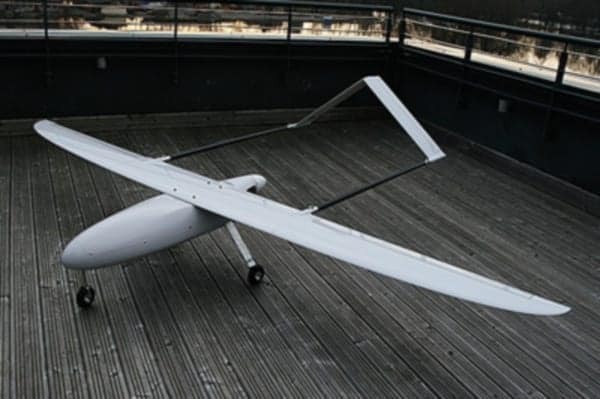 The Penguin B endurance record was a testbed for UAV Factory’s latest developments – some of technologies used in the flight will be directly transferred to commercially available Penguin B aircraft and will be available as a retrofit for existing Penguin B UAVs. The long endurance flight completed flight testing of the state-of-art EFI system, manufactured by Currawong Engineering of Kingston, Australia. The Penguin B was controlled by Piccolo flight control system, manufactured by Cloud Cap Technology of Hood River, USA. Both Currawong Engineering and Cloud Cap Technology played a vital role in the record flight. The fully loaded Penguin B took off from a car launcher on 5th of July, 2012 and belly landed more than two days later on 7th of July. The Penguin had a fuel fraction of 58%, carrying nearly 13 kg (28.7 lbs.) of regular gas and oil premix. Fuel was stored in fuselage tanks as well as in the integral wing fuel tank. The total takeoff weight of the aircraft was 22.3 kg or 49.2 pounds. The air temperatures exceeded 30 °C and the wind gusts were reaching up to 20 m/s. At the end of the flight, Penguin B performed a belly landing. The 54.5 hour endurance demonstration opens up new operational possibilities for small unmanned aircrafts. With such long endurance capabilities, the aircraft is able to remain operational for several days at a time without landing. Using the most advanced mini UAVs available today, the same mission would require around 3-5 takeoffs and landings. With over half of unmanned aircraft accidents occurring during the takeoff and landing, the increased endurance considerably improves system reliability.